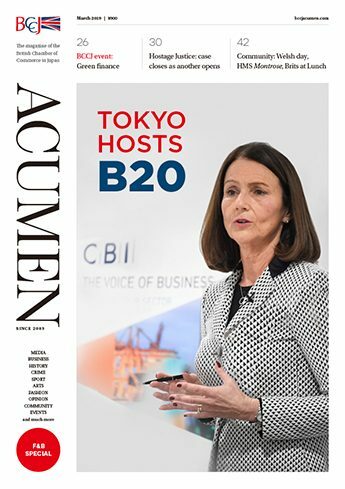 The event marking the fourth British Business Awards was held in fine style at the ANA InterContinental Tokyo on 4 November. The much-anticipated annual occasion was a celebration of all that is great in the Japan–UK relationship for organisations operating here. 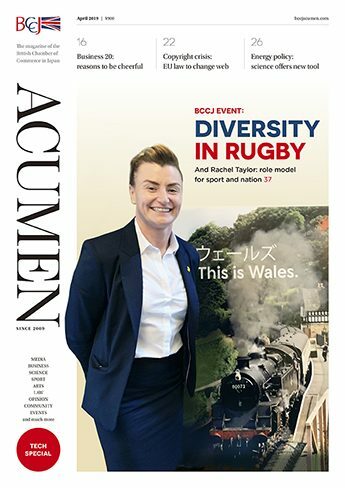 At the British School in Tokyo (BST), we pride ourselves on ensuring that our students leave us as well-rounded individuals, fully equipped for the challenges of the future in this fast-changing world. Academic success is one way in which we prepare our students and I am hugely proud of our GCSE and AS results this year. For the past five months, the BCCJ’s work in Tohoku has been driven by a simple mantra: we are supporting a recovery, not a disaster area. The time for donations—food, clothing, water, blankets—has long passed. Since June, all BCCJ cash donations have been spent on the provision of enabling resources to support local, stakeholder-led projects that have the potential for development, growth and sustainability. 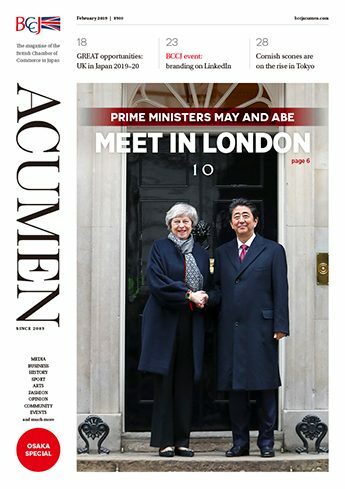 Lord Green of Hurstpierpoint, appointed minister of state for trade and investment in January, has been a frequent visitor to Japan for many years. He was last here in late October for a series of meetings, including ones with Yukio Edano, his new counterpart at the Ministry of Trade, Economy and Industry. New investors in Australia’s resource assets are often in the news nowadays, but the headlines often overlook the long history of successful Japanese investment in the country and the Japanese have not been forgotten. OOIL (Orient Overseas International Limited) is one of the largest integrated global container transportation, logistics and terminal firms. With a strong presence in Japan for many years serving brands such as Toyota, Canon and other well-known global firms, our huge network covers not just Asia, but also Europe, North America and Australia where our clients include Laura Ashley, Walt Disney World and Wal-Mart. Fears concerning radioactivity released from the Fukushima Dai-Ichi Nuclear Power Plant since the 11 March triple disasters have been blown out of all proportion, according to a leading British professor of physics. He has also said that ordering thousands of people to evacuate their communities will cause far more serious physical and mental damage to local residents than might result from leaks of the plant’s radioactive matter. Tech City is a cluster of technology, digital and creative firms that have congregated in the Shoreditch and Old Street districts of east London. 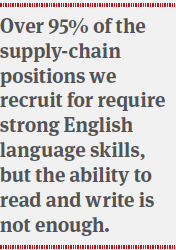 They aim to attract more like-minded businesses—including Japanese firms that are looking to enter, or expand their presence in, the UK and Continental European markets. As competitive pressures increase and supply chains become increasingly global and complex, efficient and proactive supply-chain management has been transformed from an operations and back-office concern to a factor critical to business success. Throughout 2011, the logistics industry in Japan has been impacted by the continued emergence of the Asian region as a key growth area, as well as the disasters that occurred earlier in the year. Over the past 10 years, open account trading has become the standard approach taken by exporters wishing to maintain a competitive position vis-à-vis importers. 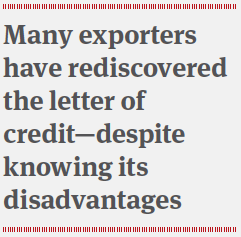 Moreover, since this form of trading—which helps firms better manage their cash flow while also providing credit protection—now accounts for more than 85% of cross-border trade transactions, the letter of credit has become a niche product. Odaiba Decks is currently hosting an exhibition of 20 astonishingly lifelike, full-scale wax replicas of famous people on loan from the world-famous Madame Tussauds collection. Gary Dyer has a chance encounter with one of Japan’s leading botanists to thank for his current job as a birdkeeper at Kobe Kachoen, a popular bird and flower park located on the city’s Port Island. 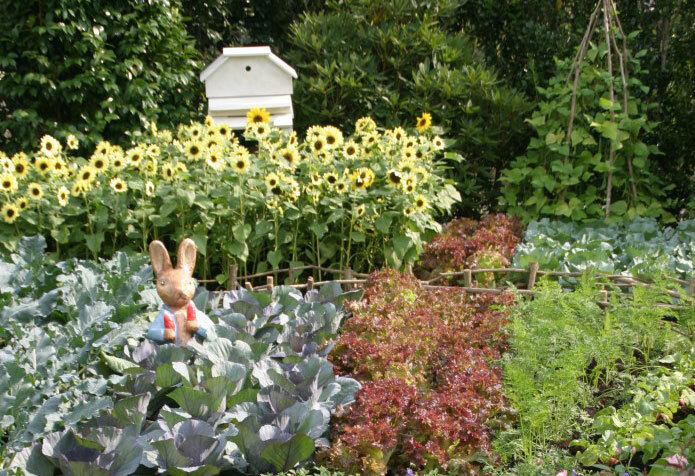 British designers performed well at the Gardening World Cup in October, staged at the Huis Ten Bosch park, near Nagasaki, but were unable to repeat the victory of England’s Andy Sturgeon Best in Show in last year’s inaugural event. If you had no idea what Anthony Flenley did for a living, you would probably be able to sniff out his core business within seconds of entering his premises, located a stone’s throw from Osaka Dome. 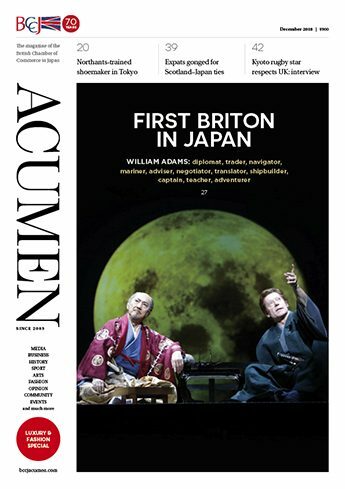 Dame Judi Dench and Anish Kapoor accepted Praemium Imperiale awards in Tokyo on October 19, becoming the latest in a long list of Britons to receive the prestigious honour. 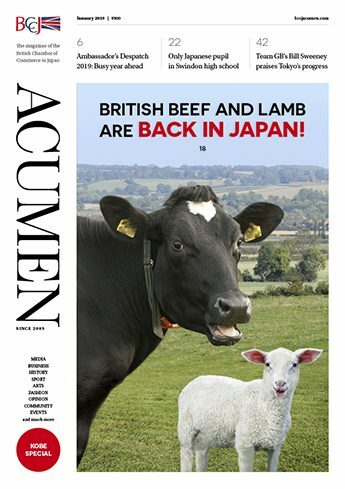 A fashion show for sheep was held at the British Embassy Tokyo to promote eco-friendly wool, the Yomiuri Shimbun reported on 4 October. TV Asahi was included among some 20 media outlets that featured the event titled, Campaign for Wool Reception—Field Day in Japan. London bookshops had opened their doors at midnight to sell Haruki Murakami’s latest novel, newspapers around the world reported on 17 October. 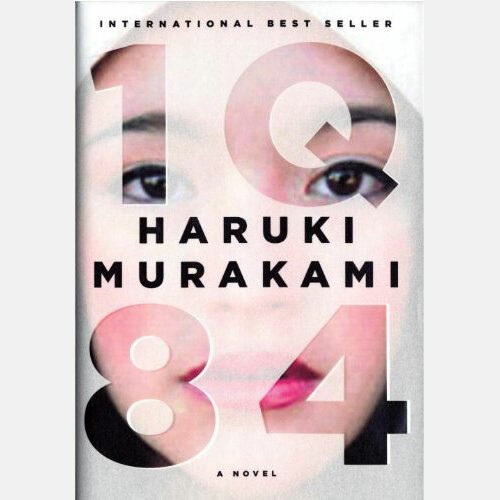 1Q84 was released in Japanese two years ago, when its first print run sold out in just one day. The book is now one of the Amazon top 20 titles. Despite sputtering auto sales in Japan, the super high end of the market, pitching dream cars such as Lamborghinis and Rolls-Royces, has continued to run full throttle here, the Mainichi Shimbun reported on 12 October. After conquering Japan, Manx Radio reported on 20 October that teenage pop sensation Beckii Cruel was set to release her first UK single the following week. The alter ego of schoolgirl Rebecca Flint from the village of Laxey, on the Isle of Mann, shot to fame by posting videos of herself dancing to Japanese anime songs on YouTube. The Ninagawa Company will join artists from more than 50 arts organisations around the world and take part in the UK’s World Shakespeare Festival (WSF), according to a 1 October press release. 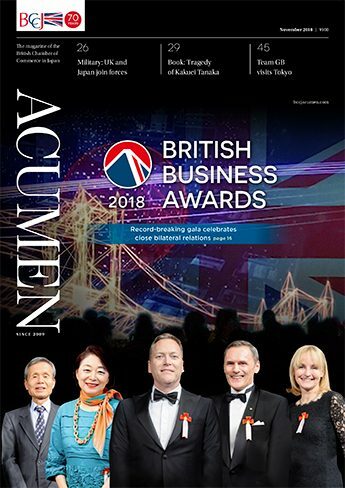 The fourth British Business Awards (BBA) attracted a record number of entrants across the five categories, with the glittering presentation ceremony on 4 November that raised about ¥3.2mn to support business regeneration and capacity-building in Tohoku.